Introduce the joy of learning at Garden International School’s Early Years Centre. 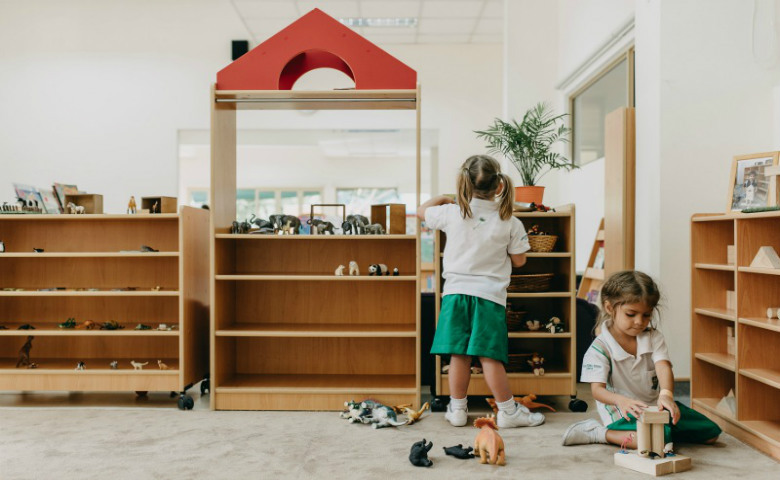 The early years of primary school are one of the most important in a child’s life and the Early Years Centre (EYC) at Garden International School (GIS) is the ideal choice for many reasons. To begin, it is a small school in its own right providing a happy, secure, enriched environment where pupils feel valued and are nurtured so they become confident, lifelong learners. Early years education lays the foundation for the future, which means parents will choose a school that offers the best in learning, as well as pastoral care, and where their children will have fun and make new friends. In recent years, research has proven that the human brain develops the majority of its neurons and is most receptive to learning from birth to the age of four. With this in mind, Garden International School’s EYC has a well-designed learning environment both indoors and outdoors, which are equipped with top facilities to encourage a range of multi-sensory learning opportunities. Every child is unique, which is why the EYC offers personalised learning experiences that meet individual needs and ensures that the important transition to primary school is seamless. An open-door policy is firmly in place enabling parents to have regular opportunities to meet teachers and to observe their child in the EYC learning environment. One of the advantages of placing your child at the EYC is the Flexible Enrolment structure, which allows parents to choose from a variety of options for enrolment. This includes having your child attend either full-time, three days or five mornings per week. The GIS Jungle School programme - the first of its kind in Malaysia - is an integral part of life at the EYC and Lower Primary Year Groups. The programme is based on the European ‘Forest School’ concept and encourages young learners to take risks, explore and use their imagination through hands-on learning in a natural environment. This in turn promotes communication, curiosity, social skills, resilience and problem-solving, which are all linked to GIS Learner Skills. By fully utilising the fact that Malaysia is a tropical country, GIS is dedicated to inspiring children to become ambassadors for nature and enjoy learning outside the classroom, as well as enhancing the skills necessary to life in the 21st century and enjoy learning outside the classroom. Parents with younger children can join the GIS Mother Toddler Group, which emphasises socialisation and learning through play. It is also a great way to make new friends and connect with other GIS families and the larger community. Facilitated by the EYC, but led by parents for parents, the playgroups meet four days a week at locations around our neighbourhood in Desa Sri Hartamas, including two sessions at the EYC. For admission enquiries and appointments, contact Garden International School here.